WE’RE GOING TO BE PARENTS!!! This is the biggest life change / life announcement I’ve ever posted on my blog. My husband and I are having a baby!! We found out that I’m pregnant at the very beginning of March and have been struggling to keep it a secret ever since! If you notice that I’ve been MIA on social media these last two months, now you know why! We filmed a video where we share all about: how I found out I was pregnant, was it a surprise? Was it planned? 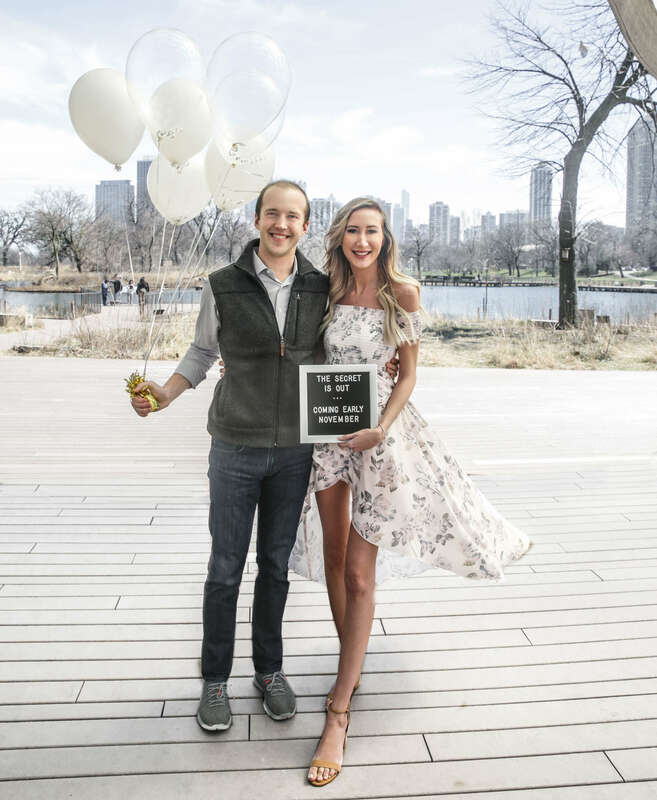 How I told my husband I’m pregnant, how we told our families and friends the big news, do we have any baby names in mind? What’s our due date? Am I experiencing morning sickness or pregnancy cravings? I’m so excited to share this extremely personal moment with you guys. I’ve shared so much with you from my life, my relationship and now our first child. I’m so thankful for all of your love and support and we couldn’t wait to tell you the news! What the video below to see me answer all the questions and let me know if you have other questions or want to see any pregnancy updates/maternity style posts!